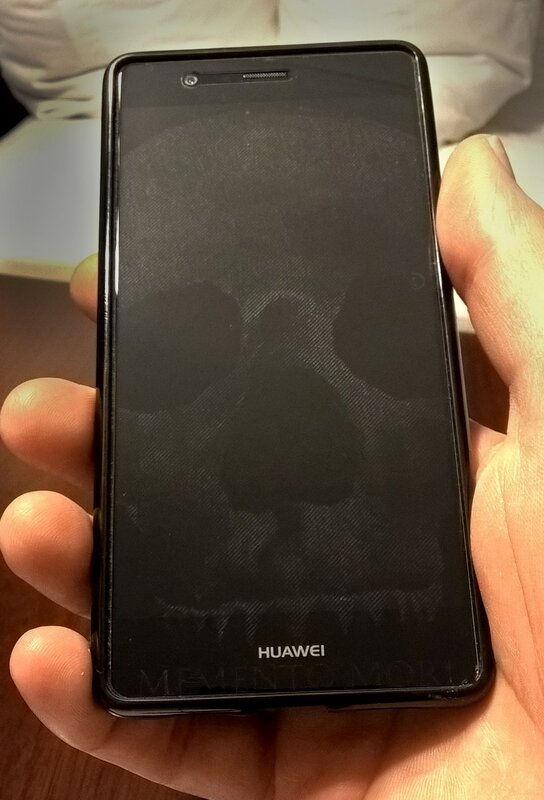 The tradition of hand-held memento mori and memorial objects, meant to help the holder to remember their own mortality and/or commemorate a deceased loved one, is updated by etching a skull onto the most frequently held object in 21st century life: the mobile phone. 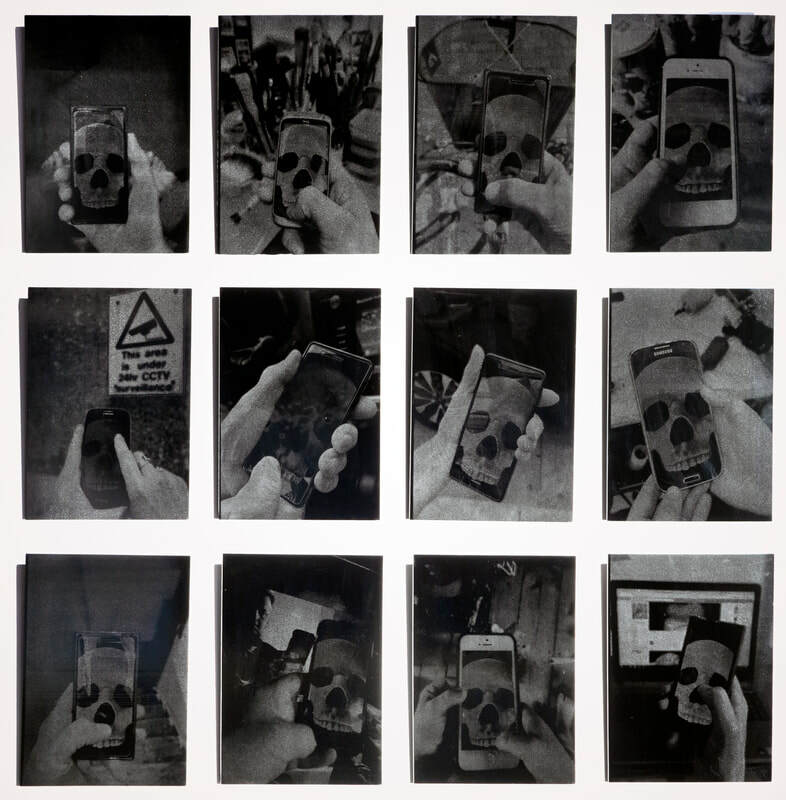 Friends and family of the artist photographed themselves using their handheld memento mori in their daily life - taking selfies, multi-tasking, cycling, driving, giving toddlers 'screen time', in the studio, on the loo, etc. These photographs were laser etched onto sheets of black glass and can be installed in any number of configurations, with or without a laser-etched phone. ​35 x 30 x 8cm/14" x 12" x 3"
Mourning jewelry and other hand-held objects were a remarkable way many people in the 16th - 19th c. chose to remember both their own mortaility and commemorate a deceased loved one. What better way to update the tradition than by bringing it to the most frequently held object of 21st century life.